VA Northern California Health Care System seeks to promote the health, welfare, and dignity of LGBT Veterans and their families. We are committed to making sensitive and high quality health care accessible. Our policies and practices focus on ensuring a safe, welcoming, and affirmative environment of care for LGBT Veterans. Our employees receive training in clinically competent care that is responsive to the unique needs of LGBT Veterans. 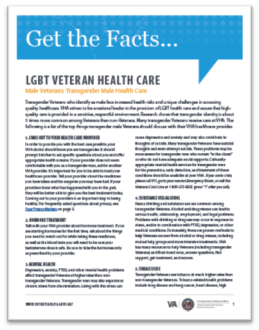 LGBT Veterans face increased health risks and unique challenges in accessing quality healthcare. The VA is developing policies, provider-education programs, and services to ensure high-quality patient-centered care for LGBT Veterans. 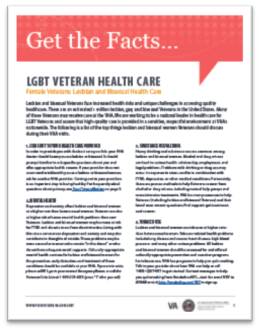 The VA strives to be a national leader in the provision of health care to LGBT Veterans and assure that care is provided in a sensitive, safe environment at VA health facilities nationwide. VA Northern California Health Care System is proud and committed to serve Lesbian, Gay, Bisexual and Transgender Veterans. We thank you for your service. Come and join our LGBT Family!!! We have many resources available for you. We meet monthly at Mather. This is not a psychotherapy group. It is a collaborative of LGBT Veterans and LGBT VA Staff that comes together to provide safe space, social support, organize Educational LGBT Health Events for VA Providers and advocate for LGBT-affirming Health Care Policies. If you are interested in joining the group please contact Artur Akkerman LCSW, LGBT Veteran Care Coordinator at artur.akkerman@va.gov and or (925) 372-2267. Since 2015, we have been hosting an LGBT Veterans Booth at Pride Festivities in Sacramento and Oakland. Transgender 101 Training for VA Staff. 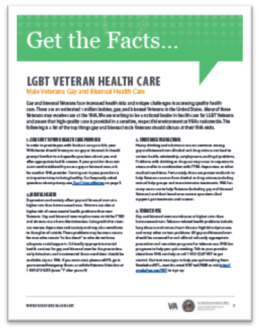 LGBTQ Cultural Competency for Healthcare Providers aimed at VA Staff and Private Sector Providers that service Veterans. LGBT Veterans Panel for VA Staff. LGBTQ Veterans Resource Tabling at events across VA Northern California Health Care System and in the Community. 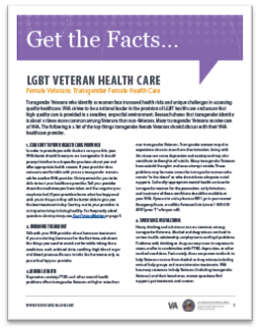 Developed a Transgender Health Care Brochure to support Transgender Veterans in their journey toward becoming their authentic self. Currently working on a policy to address Hair Removal Treatment for Transgender Women Veterans across VA Northern California Health Care System. 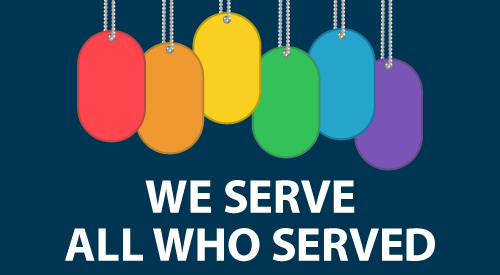 Join our EMAIL LISTSERVE to receive updates and news on all LGBT Health Information related to Veterans and VA Northern California Health Care System. To sign up just sent an email with a subject heading “SUBSCRIBE” to artur.akkerman@va.gov. At VA Northern California Health Care System, Speech-Language Pathology is providing evidence based clinically proven Voice therapy for Transgender Veterans wishing to change the pitch of their voice to match their gender identity. We work closely with an interdisciplinary team including Endocrinology, Mental health, Pharmacy, Dermatology, Women's health and Surgery. Our goals are to safely raise or lower vocal pitch, teach gender specific non-verbal communication strategies, prosody, vocabulary and overall vocal health. We provide both individual and group therapy and have made connections within the local LGBTQ communities in both Sacramento and Martinez. We are very proud of our service and look forward to developing this program further and in serving this important portion of our veteran population. For more information please contact Meghan Kelly CCC-SLP 916-843-6197 at Mather VA and Rachel Agron CCC-SLP 925-372-2638 at Martinez VA.
We also offer LGBT Mental Health Support Group at Martinez Campus every Tuesday at 1pm-2:30pm. For more information please contact Dr. Lisa Alvy at 925-372-2583 and or Lisa.Alvy@va.gov . The LGBT Health Program is delighted to report that VHA Directive 1340 PROVISION OF HEALTH CARE FOR VETERANS WHO IDENTIFY AS LESBIAN, GAY, OR BISEXUAL has been published. This directive establishes VHA policy for the equitable, respectful, and affirming delivery of clinically appropriate health care to lesbian, gay, and bisexual (LGB) Veterans.